Be the first to share your favorite memory, photo or story of Ellie. This memorial page is dedicated for family, friends and future generations to celebrate the life of their loved one. 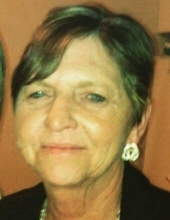 Ellie Benes age 63 of Lincoln passed away peacefully surrounded by her family on April 2, 2019. Born January 2, 1956 in Friend, NE to Don & Helen Hillgren. Ellie enjoyed fishing, camping and cooking for her family. Her greatest joy was spending time with her grandchildren whom she was very proud of. Ellie is preceded in death by her Parents, Don & Helen Hillgren and her Sister, Donna Beethe. She is survived by the love of her life, Lonnie Williams; Children, Nicole (Andrew) Malone, Dustin (Tamarra) Benes and Derek (Amber) Benes; Grandchildren, Abbie, Carter, Ethan, Boston, Jaelynn, Jaya and Landon; Siblings, Mary, Georgia, Leroy, Leonard, Duane and Carol; Numerous Nieces, Nephews, Cousins & Friends. A graveside service will be held at 2PM on Sunday, April 14, 2019 at the Ohiowa, Nebraska Cemetery. To send flowers or a remembrance gift to the family of Ellie Benes, please visit our Tribute Store. "Email Address" would like to share the life celebration of Ellie Benes. Click on the "link" to go to share a favorite memory or leave a condolence message for the family.